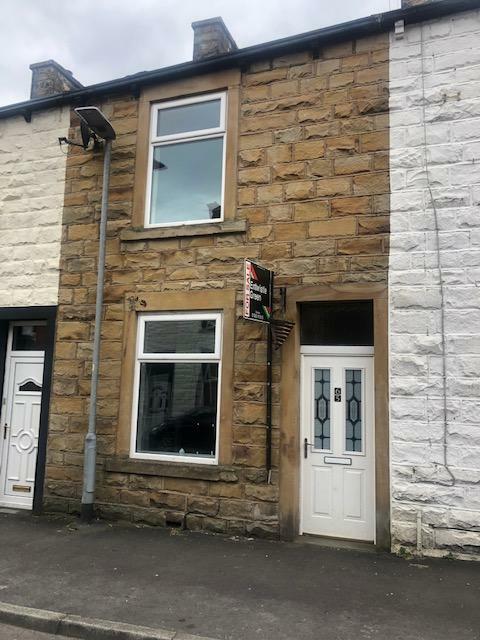 2 Bedroom Terraced House For Sale in Burnley for £55,000. CHAIN FREE PROPERTY IDEAL FOR FIRST TIME BUYERS! Located in this popular turning we offer for sale this spacious 2 bedroom terraced style property requiring some cosmetic improvement. Comprising of 2 reception rooms, kitchen, ground floor shower room/wc, 2 good bedrooms, bathroom/wc and a yard to the rear. Upvc double glazed window to front, radiator, fire surround, meter cupboard. Upvc double glazed window to rear, radiator, laminate flooring, under stairs storage cupboard. Shower cubicle, low flush wc, frosted window. Upvc double glazed window to front, radiator, built in storage cupboard, cast iron fireplace. 3 piece suite comprising of panel enclosed bath, pedestal wash hand basin ,low flush wc, radiator, extractor.